Srinagar, January 24 (KMS): In occupied Kashmir, the Jammu and Kashmir Liberation Front (JKLF) has condemned the continued illegal detention of party Chairman, Muhammad Yasin Malik. 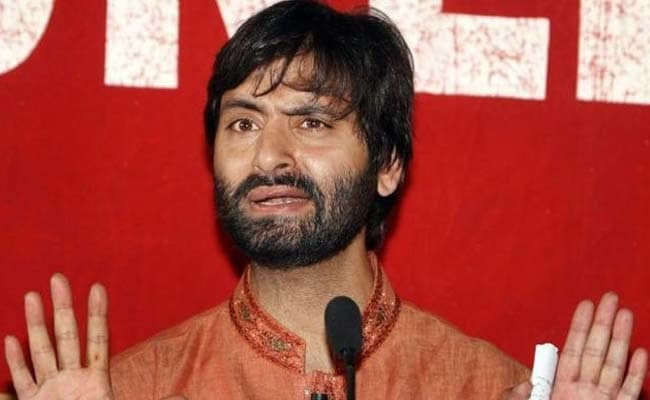 The spokesman condemning the prolonging of the imprisonment of Yasin Malik and JKLF zonal president Noor Muhammad Kalwal said that the so-called rulers were busy strangulating Kashmiris’ voices by choking political space, detaining and house arresting resistance leaders, beating and torturing young and old, vandalizing and looting public and private properties. Meanwhile, JKLF condemned ransacking of houses by the Indian forces’ personnel in Redwani area of Kulgam district during a cordon and search operation.